Going on a safari in South Africa as an extension to your booked trip or as a trip on its own will not disappoint. Depending on your preferences and budget, we can tailor-make a safari that meets all your expectations. The Kruger National Park lies in the heart of the Lowveld and is South Africa’s largest game reserve. The park has nearly two million hectares of unfenced African wilderness, in which more mammal species roam free than in any other game reserve. The Kruger has excellent infrastructure and offers visitors fantastic Big Five sightings and birdwatching of over 507 bird species. This world-renowned park offers a wildlife experience that ranks with the best in Africa. 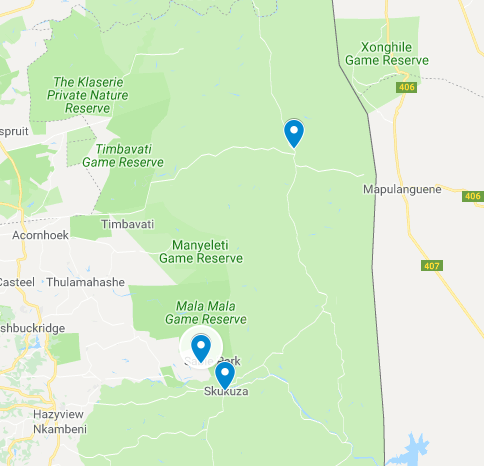 Your Nature Travel guide will meet you at Kruger / Mpumalanga International Airport near White River, a small town on the south-western corner of the park, and then head straight in to the Kruger National Park and make our way to Skukuza Rest Camp on the banks of the Sabie River. Skukuza is the park’s headquarters and though rather large it offers a great base from which to explore the surrounding region. The perennial river attracts a lot of game during the dry season and provides a focus of predator and prey activity. We have two nights at Skukuza, spending time in the mornings and afternoons out in the field photographing birds, mammals and anything else that attracts our interest. From Skukuza we will head north for our next two days to the central regions of Kruger. This area is drier and more open, with large areas of grassy plains. These attract large numbers of Zebra and Wildebeest, and game viewing in the region can be superb. Satara is particularly well known for great Lion and Hyena sightings and is reported to have the highest densities in the whole park of these two apex predators. The open savannah habitat also makes for great photographic opportunities. The program will remain the same as that followed at the previous rest camp. There is always opportunity for the program to change depending on the groups interests etc. After a last morning drive and beakfast we will wish Kruger well and exit via Orpen Gate and enter the adjacent Sabi Sand Game Reserve, a 65 000 hectare private conservancy that is open with Kruger National Park, allowing game to move frely between the two. We’ll check-in in time for lunch and have time to relax before our first afternoon safari, led by an experienced field guide and tracker. The Sabi Sand Game Reserve offers what is widely considered the best cat viewing in Africa, with regular close-up encounters with both Lion and Leopard to be anticipated. Cheetah and Wild Dog are also found in the reserve, though they are usually fairly nomadic within their large home ranges which takes them out of the reserve and into the neighbouring Kruger National Park and Manyaleti Game Reserves, so the chances of seeing these two predators depends on them being in the area at the time of our visit. Over and above the wonderful animals we are likely to see here, a true highlight will be observing the Shangaan tracker practising his craft as we track the big cats. Superb wine and cuisine will be enjoyed in the evenings after the afternoon safari, and all together this will add up to a truly awesome experience. We have four nights in the reserve, divided between two different camps, which will give ample time out in the field photographing our subjects. The Greater Kruger Private Game Reserves are located around the Kruger National Park and Sabi Sands, Timbavati, Kapama , Manyeleti , Thornybush and Balule Private Game Reserves all have a selection of the finest luxury lodges. These luxury lodges all have different elements that add to a wonderful safari experience. Extensions to Cape Town, Southern and Eastern Cape and the Drakensberg can be organized.